The Grand is a true Ottawa landmark. Built on the site of the original Grand Hotel that opened in 1882, we understand how important history is. It inspires us the same way as the old-world recipes we use when we’re preparing your pizza. And while history inspires us, we pour our energy into creating outstanding meals and experiences today. In 2009, The Grand was reborn. Artfully combining traditional recipes and modern décor, we recreated this landmark in the Byward Market. The dough must be made with refined type 00 Italian wheat flower kneaded by hand. Made from simple & fresh ingredients. We use mozzarella di Bufala cheese made from water buffalo milk, typically raised in the Campania & Lazio marshlands in Italy. Cooked in a wood fired oven at 900ºF for 60 to 90 seconds. It has a soft chewy crust with slight charring & leopard spots. 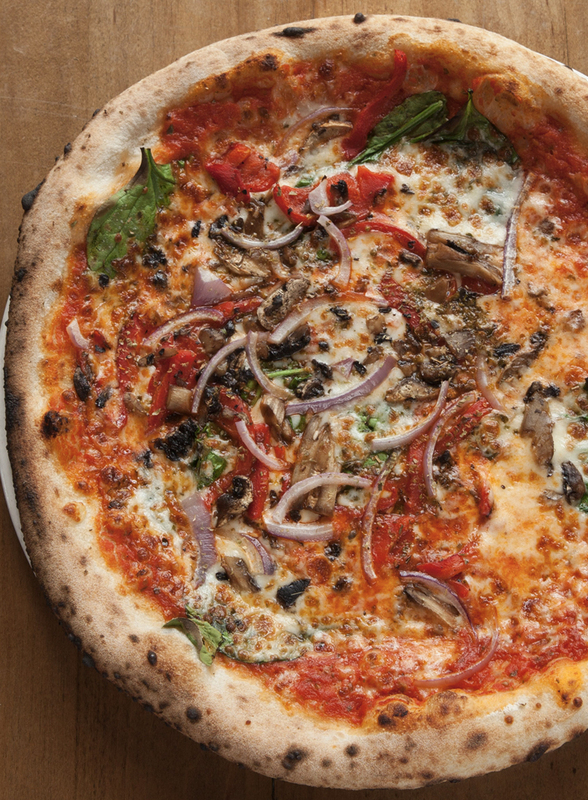 Authentic Napoletana Pizza is very thin and soft. Our wood-burning oven sits in the middle of the dining room. 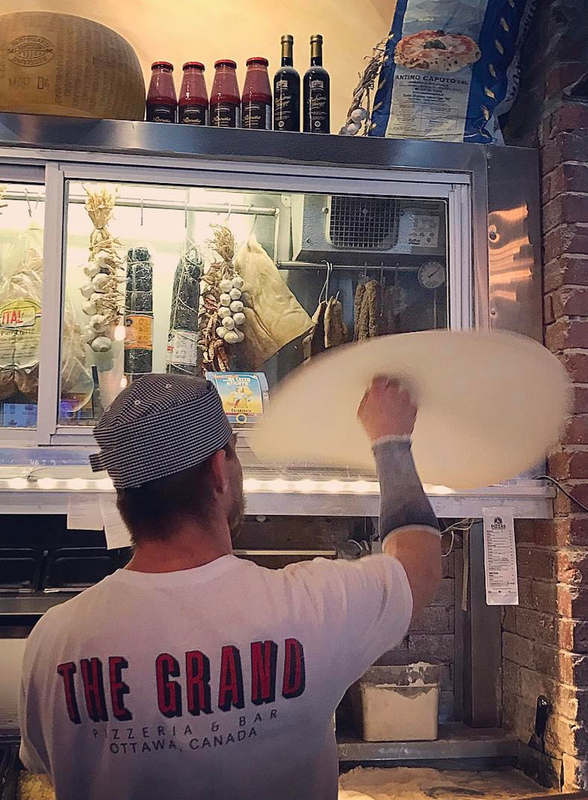 As families and friends take time to reconnect in our relaxed atmosphere, they watch our Pizzaoli craft their meal using the recipes and techniques that have made Napoletana pizza famous.